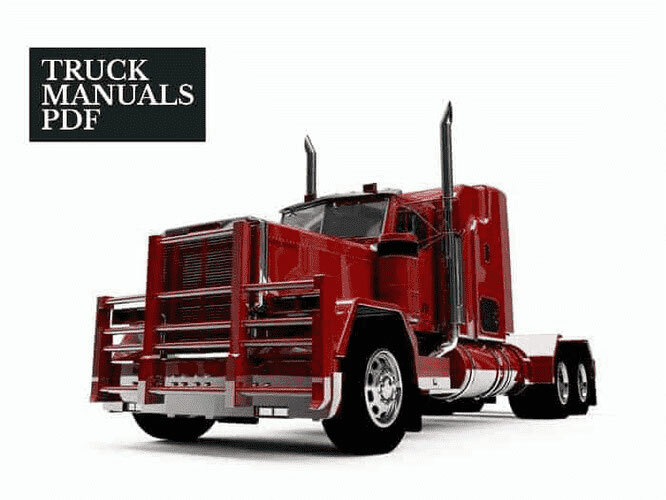 Some Mack Truck Wiring Diagrams & Operator Manual PDF are above the page. A Mack Company - one of the famous manufacturers of trucks in the United States. It is among the first to start producing such machines. However, despite this, the most popular car brand Mack enjoyed in Europe, and in America, they were far from the championship. The history of this company, originally called Mack Bros. Motor Cars Company, began in the early XIX century. In 1891, Mack brothers - John and Augustus - bought a car factory in Brooklyn Fallesen & Berry and decide to convert factory production vans to issue motor carriages. In 1894, with its capital being joined by a third brother, William, the owner of the mechanical plant in Scranton. In 1901 Harris and McGuire, New York sightseeing company, was released by the first bus Mack with an engine capacity of 40 horsepower. In that same 1901, the company starts production of trucks under the brand name Manhattan. Since 1905 the company has taken the decision to release the entire automotive products under the brand name Mack. Allentown (Pennsylvania) to build the first large-scale production company Mack Brothers Motor Car Company. From 1905 to 1930 the company Mack is engaged in manufacturing of railway locomotives with a petrol engine. In 1906 formed a division Mack Brothers Manufacturing Company, assemble and repair of tour buses. In 1909 the company Mack starts release the lungs trucks - c LHD (Junior) and right (Senior). Since 1910, the entire lineup «Manhattan» renamed to «Mack». In the same year the company opened dealerships and service centers across the state of Massachusetts to sell and service its equipment. At the end of 1910 at the company's plants begin to be produced cars Mack AB, which are used as freight and urban transport. Production Mack AB was discontinued in 1937. By this time it produced about 55 thousand cars series AB. C 1916 to 1939 the company Mack produces automobiles series speakers that are rapidly gaining popularity in the US Army for its reliability, versatility and high cross and there was first obtained from the soldiers nicknamed "Bulldog" for the characteristic shape of the hood and power. The nickname stuck so firmly to the truck that was taken into service company - from June 1921 stamped steel plate with a picture of a bulldog began to decorate the hood of the truck. Emblem depicted Bulldog rushing ledger «Hauling Costs». Since 1922 figurine bulldog on the hood is the official symbol of trucks Mack. During World War I trucks Mack AC supplied in bulk to the British Army, 4470 units sent to France to help the marines of the American Army. In 1927 starts the production of trucks series BJ and BB, capable of high speeds with increased capacity. By 1941, produced 15 million units of these models. From 1929 to 1944 the company «Mack» 2600 releasing uniaxial and biaxial trailers and semitrailers. In 1936, production started at the new universal series Mack E capacity of 10 tons in two versions - the bonnet release and cab-over-engine. By 1951, it was released more than 78 thousand trucks of this series. Since 1938, all production of Mack Truck subordinated to the concept of "balanced design" - the development and production of all major parts and components of trucks in their own factories, which allowed to achieve a perfect fit of all components. Mack was the first manufacturer who installed the brakes on all four wheels of heavy trucks. From 1938 to 1944 produced about three thousand light trucks Mack Series «ED» for small businesses. Simultaneously produced L-series trucks in various modifications, famous for its high traffic. Trucks are successfully used in the construction industry as well as for main cargo in the modification with a sleeping compartment. A distinctive feature of the series Mack LR becomes a stylish design with an abundance of steel and chrome, unique grille, excellent optics and vertical exhaust pipes mounted on the sides of the cabin. Total Maсk sold about 35 million units of this series, bought mainly by entrepreneurs from the US West Coast, where the terrain and the road is poor. Year 1950 - updated lineup Mack truck series B, H and G. Mack Series B receives the most popular among buyers. These trucks have been successfully used for long-distance transport and intercity. Mack sells about 130 thousand trucks of this series. Series H - "bowl" - comes with a very high and a short cab. Issue truck cab with such a configuration dictated by the need of compliance to regulatory restrictions on the length of road trains in some states. When the allowed maximum length of train in 45 feet (13.7 m) with a truck cab was able to pull the ten-trailer. Also in 1950 the company's designers are developing Mack first diesel engine with direct injection and cooling system. Year 1966 - the company produces new and improved truck R series based on the model Mack B, which is mainly used as a dump and ore carriers, as well as high-speed trunk truck series Mack RW. At the same time produced diesel «Maxidyne», having a five-speed transmission «Maxitorque» - a prototype of a modern automatic transmission. Year 1969 - all main tractors put patented attachment system on the cab vibro-absorber - air cylinders, developed by engineers Mack. Year 1970 - the opening of Mack's head office in Allentown, Pennsylvania. Years 1975-1983 - production of specialized Truck Series MC / MR on the orders of utilities and emergency services. From 1977 to 1993 produced bonneted truck «Super-Liner», designed to carry heavy loads over long distances. Since 1979 the company Mack Trucks ceases to be a joint stock company and exposes a portion of their shares on the trading world's largest stock exchanges. European concern Renault acquires ten percent of the shares Mack, in 1982, increases the proportion of assets to twenty percent in 1979 - up to forty. 1988 - issued a trunk road tractor series CH. Since 1990 the company «Mack Trucks» wholly owned Renault VI, a member of the Renault Group. At this time, issued a new series of Mack E7 dvenadtsatilitrovymi with diesel engines, which is a modification of sixteen different engines Mack capacity from 250 to 454 horsepower. The series is the best in its class ratio indicators such as the power-to-weight. 1994 - Mack truck is a new waste-LE and trunk Heavy Vision. In 2000, AB Volvo between companies and Renault signed an agreement on partnership and mutually beneficial cooperation, according to which the Volvo passed 90% of the shares of the cargo division of Renault - Renault VI / Mack. (Renault on this agreement received 15% of the shares of AB Volvo). Since June 2001, the company produces multi-purpose Mack Series Granite and Freedom . The priority of the issue of becoming heavy trucks for mining and construction.